← What a 94-year-old track star can teach us all about aging! Some visiting scientists decided on a whim to try making similar devices with plastic thread, and were surprised to discover they performed better than the more expensive materials, Haines recalled. 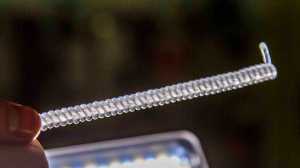 He did further testing with different kinds of nylon fishing line that optimized the artificial muscles.